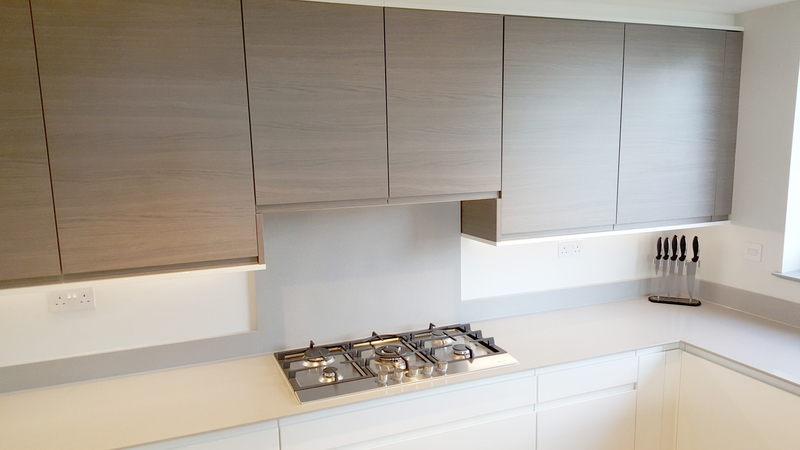 Our customer opted for a homely modern feel for his apartment with Remo handleless white doors for the base units and Remo warm grey oak for the tall and wall units. 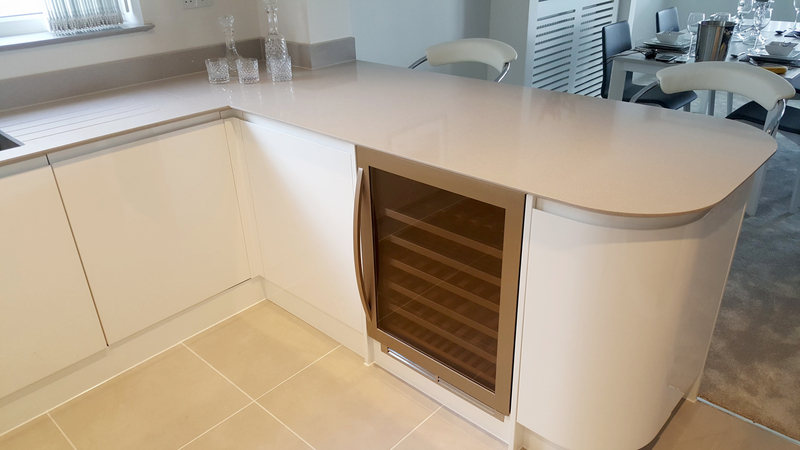 Coupled with a 20mm grey quartz worktop, the customer was happy he had achieved the look he was after. 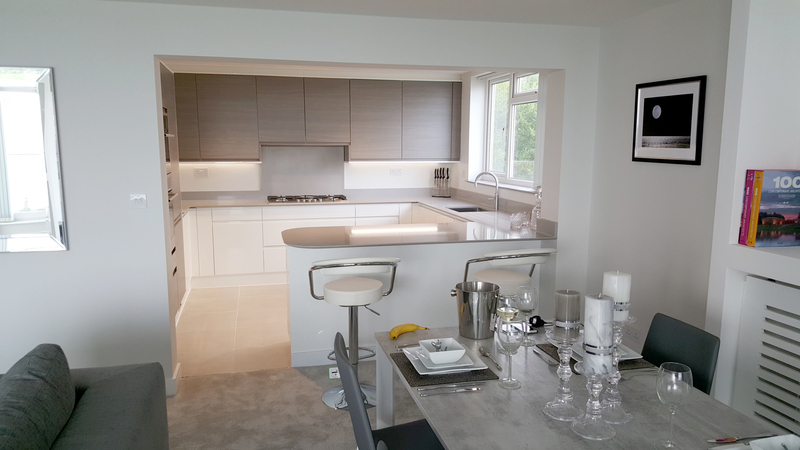 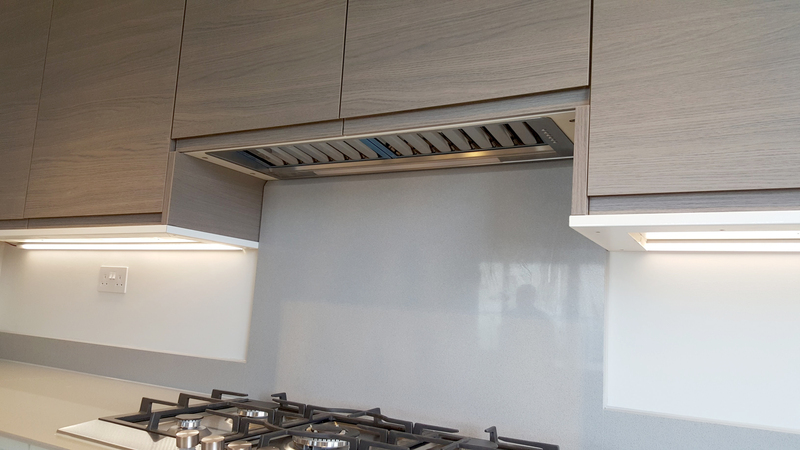 This kitchen included a single oven, combination microwave, warming drawer, integrated fridge freezer, integrated dishwasher, wine cooler, integrated extraction and an extra wide gas hob.